Comment: Need to have roof inspected (I have had 2 or 3 shingles fall off in the past couple of months and want to make sure the roof is OK). Comment: We are "thinking about" moving and would like to get our own inspection to see what needs to be done/to be fixed ahead of time. Comment: I need an inspection as part of the purchase of a brick home on Alabama Ave in Durham, NC. 1300 sq foot home with 2 bedrooms and 1 bath with floored attic that has pull down stairs and walk down steps to unfinished basement that houses the HVAC 4 year old unit and the Hot Water Heater that is a 4 yrs old unit, also has a sump pump in basement that is 4 years old. Comment: House Inspection. Checking costs and what is included exactly. Comment: Approaching 5 years in a new house. Roof is warrenteed for 5 years. Several neighbors have experienced difficulties. Need to know if my roof is sound. Durham Home Inspectors are rated 4.87 out of 5 based on 517 reviews of 25 pros. 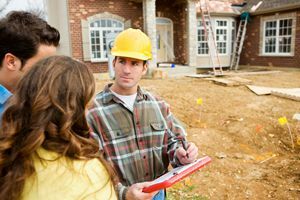 Not Looking for Home Inspection Contractors in Durham, NC?